I Spy Animals: Got Cow? 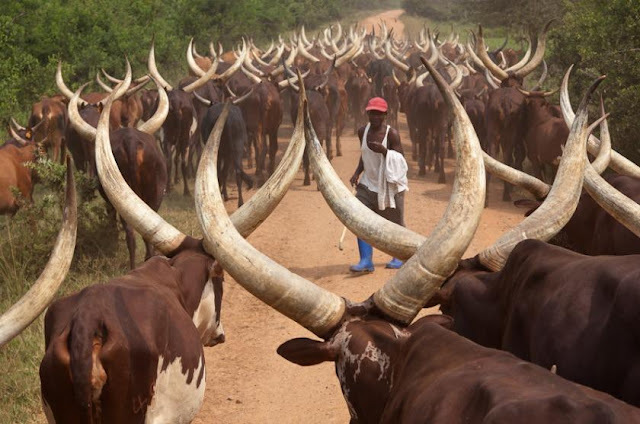 Cattle in Africa have to be sturdy and heat-resistant. And be dual-purpose; giving milk as well as meat. 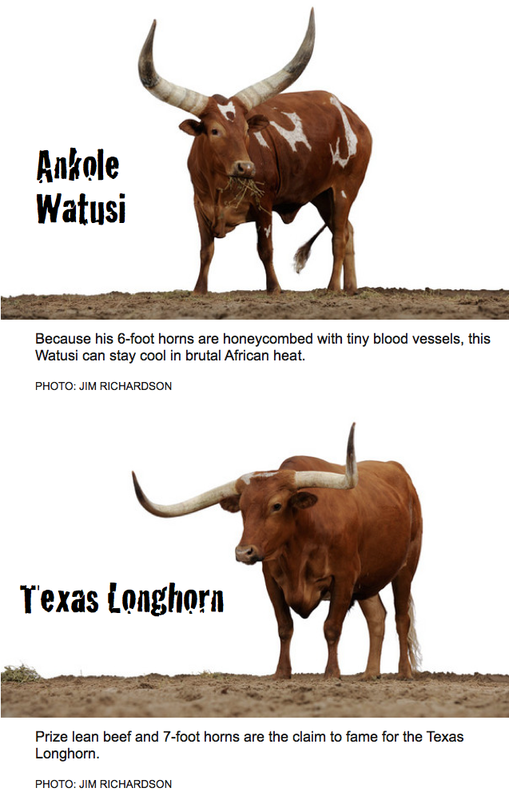 The Ankole Watusi fills the bill perfectly. I love Longhorns! 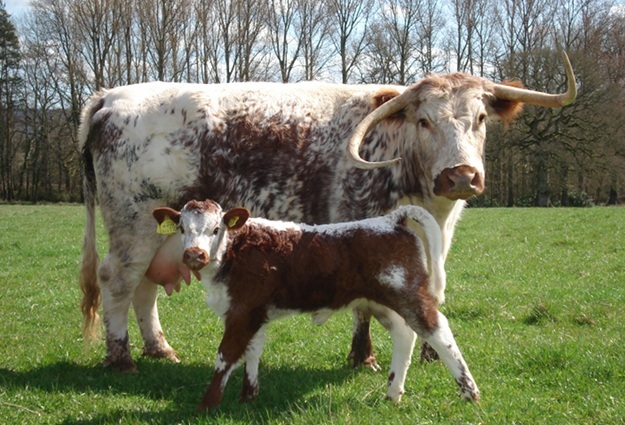 Did you know that there are English longhorns as well as Texas ones? Below is an English longhorn. 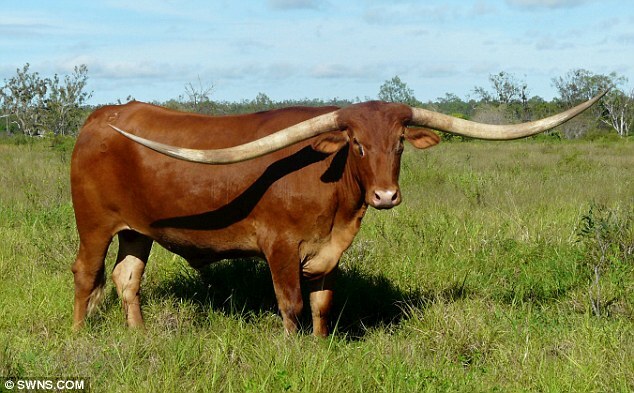 Here's the record holder for the longest horns in the world: JR, a Texas Longhorn living in Australia, currently has horns 9 feet, 1 inch...and they'll just keep getting longer! Then there's the very shaggy Highland cow, which can now be found in Australia as well as in other climates much colder than Scotland. Above, the Schwarzenegger of all cattle, the Belgian Blue! Double muscling just means that each muscle is more developed than normally found in cattle. Belgian Blues weigh 2,000 pounds, about 700 pounds more than most other breeds. 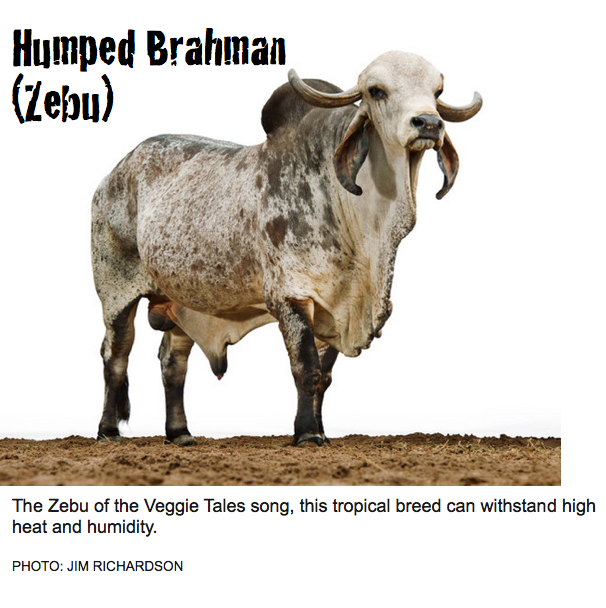 Thought to be descended from the extinct Aurochs, the Zebu is essential in tropical countries for meat, milk, and as a draft animal. Kind of makes you want to put one or two in your backyard, doesn't it? 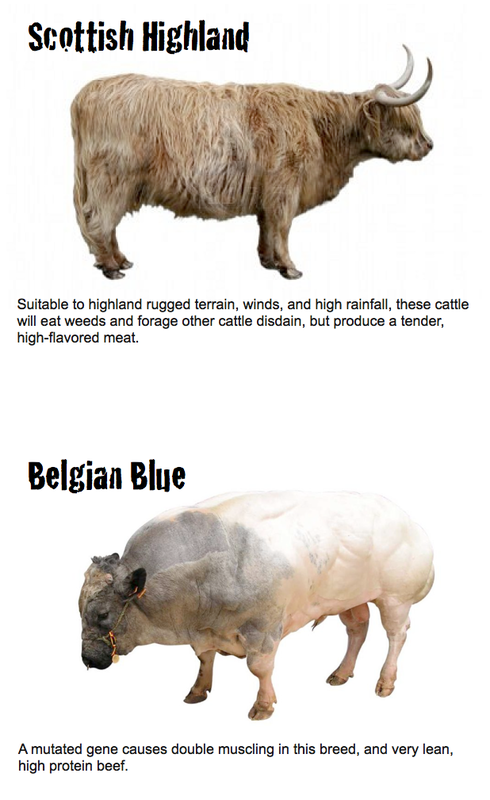 So which of all these amazing cattle is your favorite? The male counterpart of a cow is called bull and the offspring is known as a calf. A heifer is a young female cow that hasn't had a calf yet. A cow gives milk for the first time, only after she gives birth to a calf. Cattle is the name for the entire "cow" family. Cows don’t bite because they have no upper front teeth. Instead they have a thick, tough pad of skin on their top jaw. They curl their very large tongue around the grass and feed they eat. Modern domestic cattle are believed to belong to either the species, Bos taurus (Holstein, Brown Swiss, Jersey and Guemsey), or the species, Bos indicus (humped cattle like the Brahman). 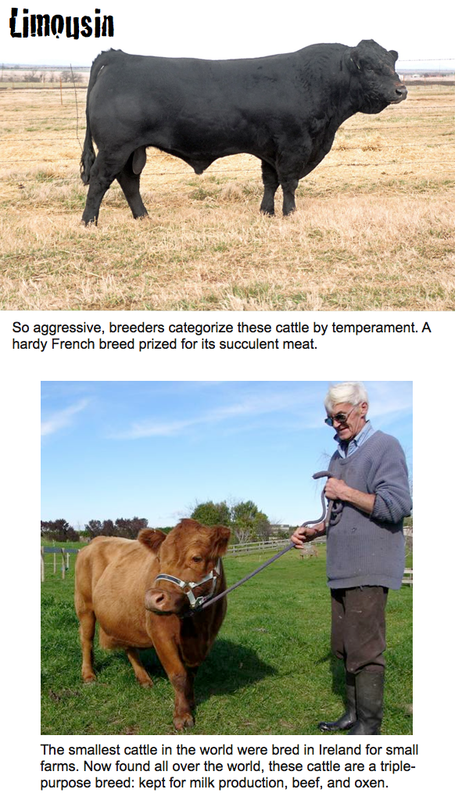 Some cattle are a cross between the two species. There are about 920 different breeds of cows in the world. Cows were domesticated about 5,000 years ago. Cows came to America with the Pilgrims. They arrived in the Jamestown colony in 1611. The smallest type of cow is a breed called Dexter, which was bred a small size for household living. Cows have almost total 360 degree panoramic vision and are able to see colors, except red. So a bull, in a bullfight, doesn’t see the red of the toreador’s cape – just the movement of the cape. Cows are very social animals. They form large herds and just like people, they will bond to some herd members while avoiding others. Cows can live 25 years. You can guess the age of a cow that has horns by counting the number of rings on the horns. 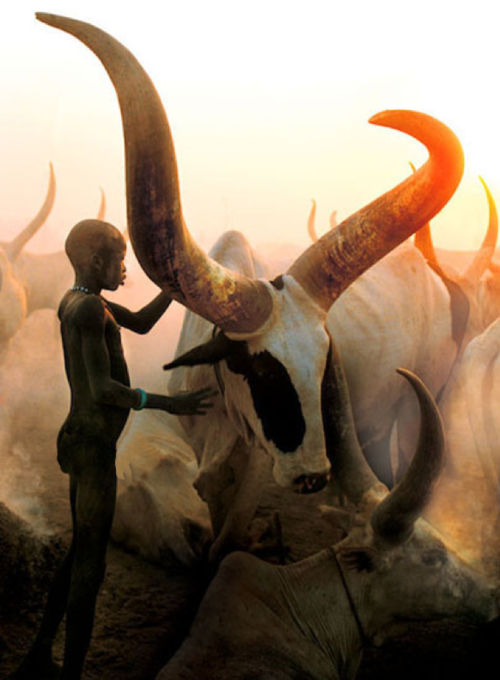 Before counting, make sure the horns belong to a cow. A cow stands up and sits down about 14 times a day. A cow produces around 200,000 glasses of milk in her lifetime. A 1,000 pound cow produces an average of 10 tons of manure a year. Cows can drink up to 35 gallons of water a day. Dairy cows can produce up to 125 lbs of saliva a day. Cows are ruminants or cud-chewing mammals. Sheep and camels are also ruminants. Cows do not bite grass; rather they curl their tongue around it. A cow usually spends 6-7 hours in day eating cud and around 8 hours on chewing it. (regurgitated, partially digested food). Almost all the cows chew at least 50 times per minute. 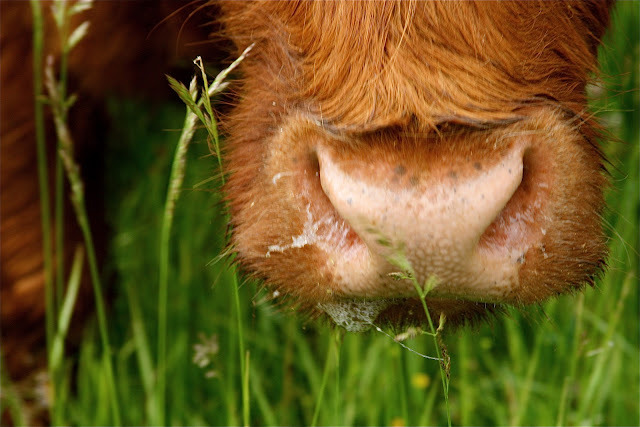 An average cow has more than 40,000 jaw movements in a day. When galloping through boggy, soggy places or deep mud, cattle can run faster than horses. They have cloven hooves and their toes spread so their wide feet do not sink as deep as those of the solid-hoofed horse. Cows produce around 90 percent of the milk in the world. Any warm-blooded animal such as goats, sheep, horses, reindeer, camels and water buffalo also produce milk. Today, farmers use machines to milk more than 100 cows per hour. Before milking machines were invented in 1894, farmers could only milk about 6 cows per hour. Until the 1850's, nearly every family had its own cow. The oldest cow ever recorded was a Dremon named "Big Bertha" that died 3 months shy of her 49th birthday on New Years Eve, 1993. "Big Bertha” also holds the record for lifetime breeding as she produced 39 calves. The heaviest live birth of a calf is 225 lbs for a British Friesian cow in 1961. The highest lifetime yield of milk for a single cow is 465,224 lbs by the creatively named cow No. 289. The highest milk yield for a single day is an unbelievable 241 lbs by a cow named Urbe Blanca. Fast food hamburgers come from culled dairy cattle. On August 18, 1953, four cows in Stearns County, Minnesota were picked up by a tornado and set down again unharmed. Cows are venerated in the Hindu religion of India. India has 30% of the world’s cattle, but because the cow is respected as a sacred animal, it is allowed to roam the streets in towns and cities unharmed. The World Championship Cow Chip Throw is held each April in Beaver, Oklahoma. Studies have shown that classical music helps cows produce more milk. The Great Chicago Fire of 1871 that destroyed much of the city has long been blamed on Mrs. Kate O'Leary's cow kicking over a lamp. In 1997, the Chicago City Council, after much research, passed a resolution exonerating Mrs. O'Leary and her cow. It takes 21.2 pounds of whole milk to make one pound of butter. The “got milk” mustache advertising campaign began in 1995. This is a whole new education on farm animals. Well done.